A controversial former head of the NHS has returned to a health service job just four years after quitting in disgrace. 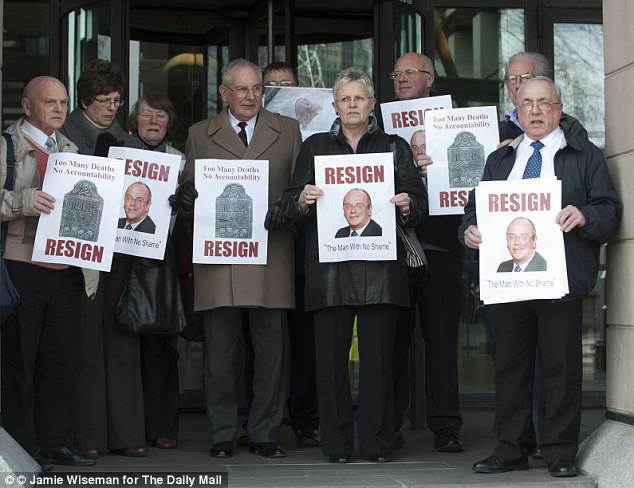 Sir David Nicholson, 63, was held responsible for not taking action over the Mid Staffordshire hospital scandal where 1,400 patients died – while he was head of the West Midlands Health Authority. 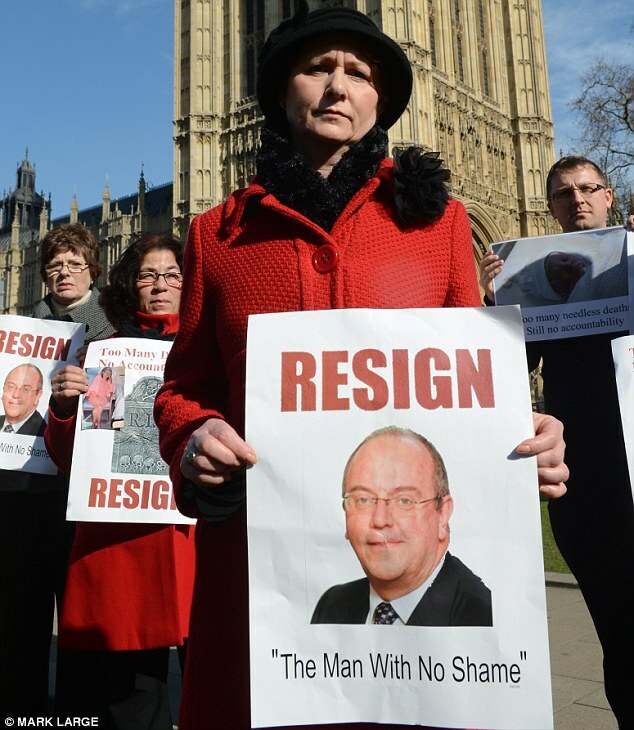 Sir Nicholson was dubbed the ‘man with no shame’ by protesters, over his refusal to take responsibility for various NHS scandals, especially the neglect of patients at Mid Staffordshire NHS trust. He reportedly ignored warnings that patients were dying due to poor care at his former trust. Nicholson, who earned £290,000 a year and left with a £2 million pension pot, has been advising private sector companies since retiring. In his new role, he will get £40,000 a year as part-time chair of the failing Worcestershire NHS Trust, which has been placed in special measures by the Care Quality Commission. His second wife, 20 years his junior, was one of his former trainees and is now chief executive at Birmingham Children’s Hospital. Before retiring, Nicholson was also criticised over a £50,000-a-year expenses bill that included first class travel and the use of luxury hotels. 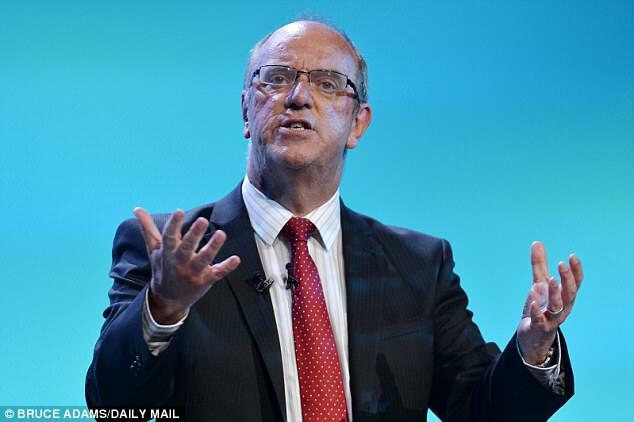 His new appointment has been slammed by those who called for him to quit as an NHS chief executive. Julie Bailey, who lost her mum at Mid Staffs and exposed the scandal, said last night that she was ‘appalled’ by Nicholson’s appointment. ‘This man ignored the concerns that were raised about Mid Staffs and refused to meet the families of those who had died or been harmed by dreadful care. He will be good at balancing the books but will do nothing for patient safety. NHS safety campaigner Fiona Bell, who met Nicholson and challenged him over patient deaths at other trusts said: ‘Sir David was at the heart of the culture at Mid Staffs. As usual, the NHS recycle leaders that have failed patients and staff in hope that the public has forgotten past mistakes. Gary Walker, former chief executive of United Lincolnshire NHS Trust, warned Nicholson that lives had been put at risk by unreasonable demands to meet targets, and said his concerns had been ignored by Nicholson. NHS Improvement chief executive Ian Dalton – who gave Nicholson the job- acknowledged the Worcester trust ‘still faces many challenges’. Defending the appointment he said: ‘David brings huge expertise at both national and regional level. I know he is absolutely focused on improving patient care, and looking forward to getting underneath some of the difficult issues to see what positive changes can be brought about. While there were some signs of improvement in accident and emergency performance this winter, the trust was still among the worst performers for ambulance delays. Trust chief executive Michelle McKay said Nicholson’s ‘knowledge and understanding of the challenges we face in this trust and across the wider health and care system will, I am sure, be enormously helpful to our efforts to secure safe, high quality hospital services for the people of Worcestershire, as well as the work we are doing to move to a position of sustainable financial balance’.